While college and Greek life will provide you with countless memories that you will cherish throughout your lifetime, there will also be times where you feel like your brain is being pushed to its limit. From all-night study sessions, last minute revisions on your essay, and the sense of dread that arises as you enter the classroom to take your midterm, it can be pretty stressful! We at Upper Crust Food Service are here to help! Of course, we won’t be writing papers with you, but through our college catering services we’ll be providing you and your sorority sisters or fraternity brothers with the fresh nutrients you need to keep your brain firing at all cylinders! As the classic adage goes, “you are what you eat”, and when our Greek house chefs are serving you with fresh, healthy meal plans, you’ll feel great because you’ll be eating great! We like to consider ourselves more than just your turnkey kitchen solution for your sorority or fraternity house, we want to help in any way we can! If that means providing you snacks for your late night study session or simply serving delicious meals daily that are chock full of the nutrients your brain needs, we’re happy to help! 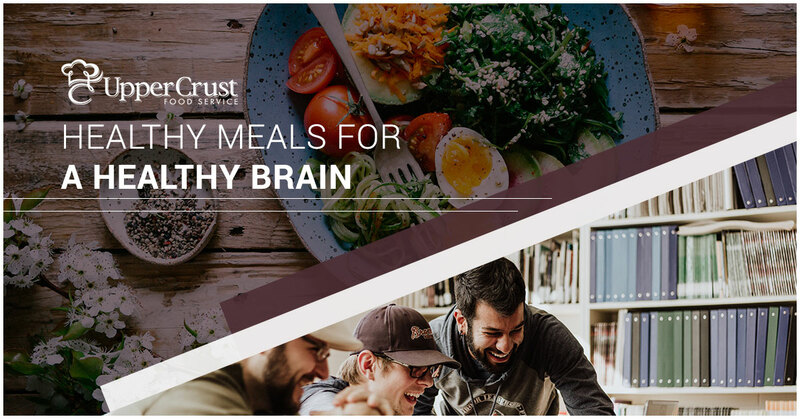 In this post, we’ll discuss a few of the benefits that your brain receives when following a fresh and nutritional diet, some foods that give an extra boost, a few things to avoid, and more! If your fraternity or sorority is in need of a campus chef or you would like to learn more about our food catering services, don’t hesitate to give us a call! If Upper Crust isn’t already serving other chapter houses on your campus, no need to worry! Let us know and we’ll change that as soon as possible! We love supporting the Greek life and want to provide our college food services to as many houses across the nation as possible! Contact us now! There’s a reason that moms everywhere ensure that their children make sure to eat their fruits and vegetables! It’s believed that the more produce you consume, the better you’ll feel and the better your memory will function. This, of course, can be extremely beneficial when trying to remember the abundance of facts you studied for your upcoming test. At Upper Crust Food Service, we responsibly source all of our ingredients and food so you can be sure that the produce your eating is fresh and good for you (and your brain!). The omega-3 fatty acids in foods such as salmon is also known to help protect your memory, and our Greek housing chefs serve some mouthwatering salmon! Of course, though, the fraternity and sorority meal plans that offer are completely customizable. You tell us what kind of meals you and your housemates prefer and our campus chefs will work their magic and make sure that every person is satisfied! One of the main components to our success and our clients’ happiness is our main focus on the feedback that we receive. If just one member of your fraternity or sorority is unhappy, then we’re not doing the best that we can. 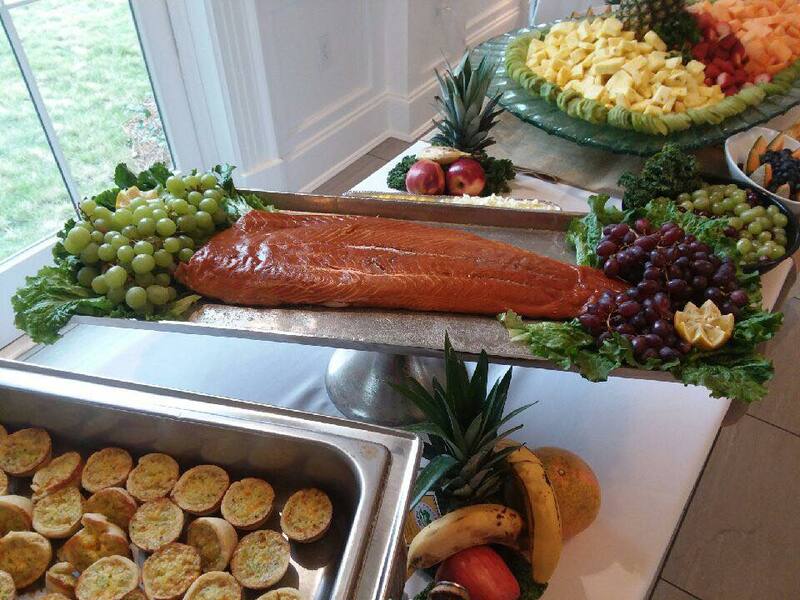 Our goal is to exceed expectations through quality ingredients, a dedication to being the best college catering service in the country, and our chefs’ commitment to the job. Upper Crust Food Service is devoted to going above and beyond. We make sure that we’re providing your chapter houses with the freshest and tastiest meals on campus, and as a little bonus, our food will actually help your brain get through the homework and tests. Along with our catering services for your daily meals, we also provide cleaning services, cater special events, and so much more! With the school year just beginning, make it the best yet! Enjoy every second of Greek life, and let us do what we do best and keep your stomach and brain happy! Contact us today for more information about our college catering company or to have us come to your campus! You’ll consider our Greek house chefs as part of the fraternity/sorority and never go to class on an empty stomach!